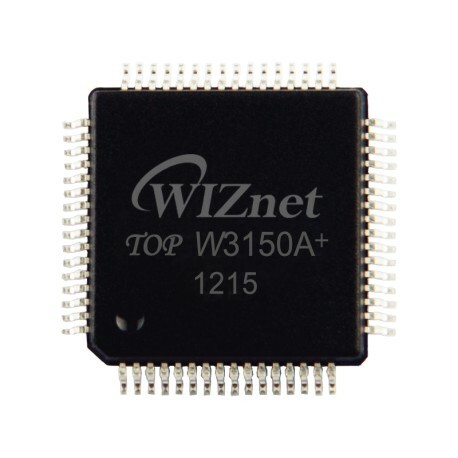 W3150A+ suits users in need of stable Internet connectivity best, using a single chip to implement TCP/IP Stack & 10/100 Ethernet MAC . 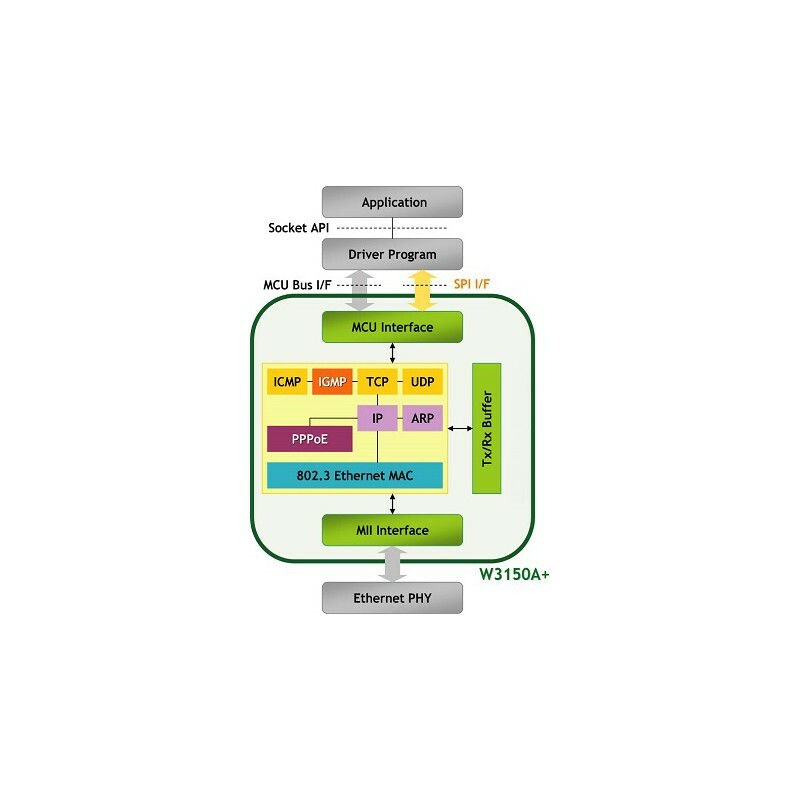 Hardwired TCP/IP stack supports TCP, UDP, IPv4, ICMP, ARP, IGMP, and PPPoE, …, which has been proven through various applications over many years. 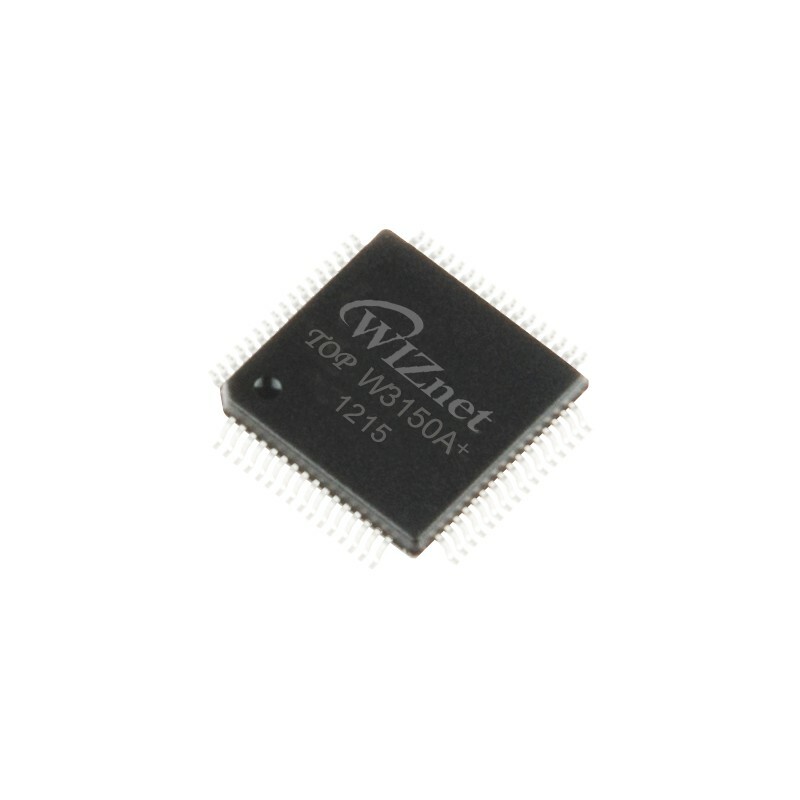 W3150A+ uses a 16Kbytes internal buffer as its data communication memory. 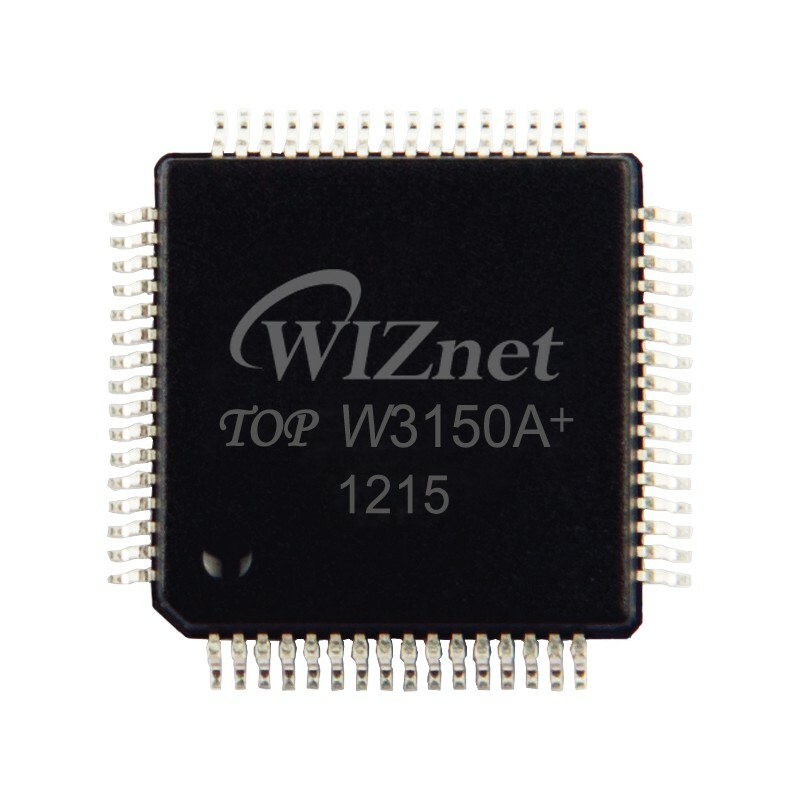 By using W3150A+, users can implement the Ethernet application they need by using a simple socket program instead of handling a complex Ethernet Controller. 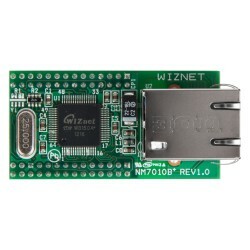 It is possible to use 4 independent hardware sockets simultaneously. 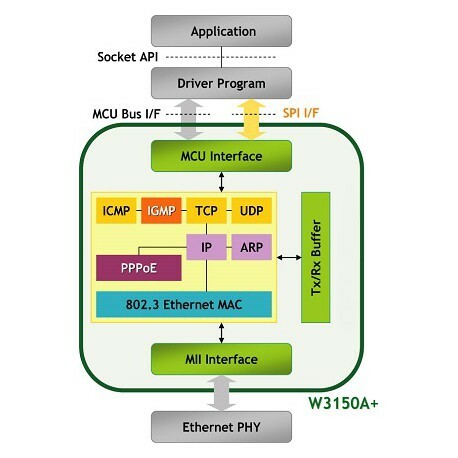 BUS & SPI (Serial Peripheral Interface) is provided for easy integration with the external MCU. 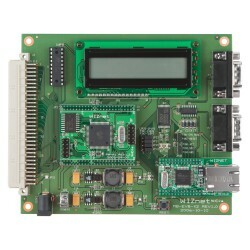 As it doesn’t have the PHY, users can interface any external PHY such as switching PHY according to their requirement.